In the West, we have a vague sense that poetry is good for our 'souls', making us sensitive and wiser. Yet we don't always know how this should work. Poetry has a hard time finding its way into our lives in any practical sense. In the East, however, some poets—like the 17th-century Buddhist monk and poet Matsuo Bashō—knew precisely what effect their poetry was meant to produce: it was a medium designed to guide us to wisdom and calm, as these terms are defined in Zen Buddhist philosophy. In literature, Bashō valued "karumi," or "lightness". He wanted it to seem as if children had written it. He abhorred pretension and elaboration. As he told his disciples, "in my view a good poem is one in which the form of the verse, and the joining of its two parts, seem light as a shallow river flowing over its sandy bed." The ultimate goal of this "lightness" was to allow readers to escape the burdens of the self —one's petty peculiarities and circumstances—in order to experience unity with the world beyond. Bashō believed that poetry could, at its best, allow one to feel a brief sensation of merging with the natural world. One may become – through language – the rock, the water, the stars, leading one to an enlightened frame of mind known as muga, or a loss-of-awareness-of-oneself. 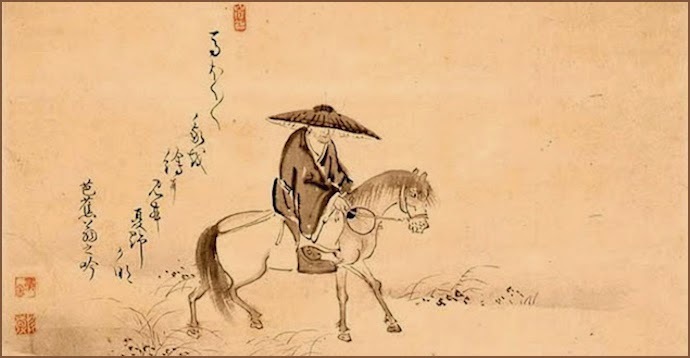 Bashō's poetry was a clever tool for enlightenment and revelation – through the artfully simple arrangement of words. The poems are valuable not because they are beautiful (though they are this too) but because they can serve as a catalyst for some of the most important states of the soul. They remind both the writer and the reader that contentment relies on knowing how to derive pleasure from simplicity, and how to escape (even if only for a while) the tyranny of being ourselves.